St. Gallen, Stiftsbibliothek, Cod. Sang. 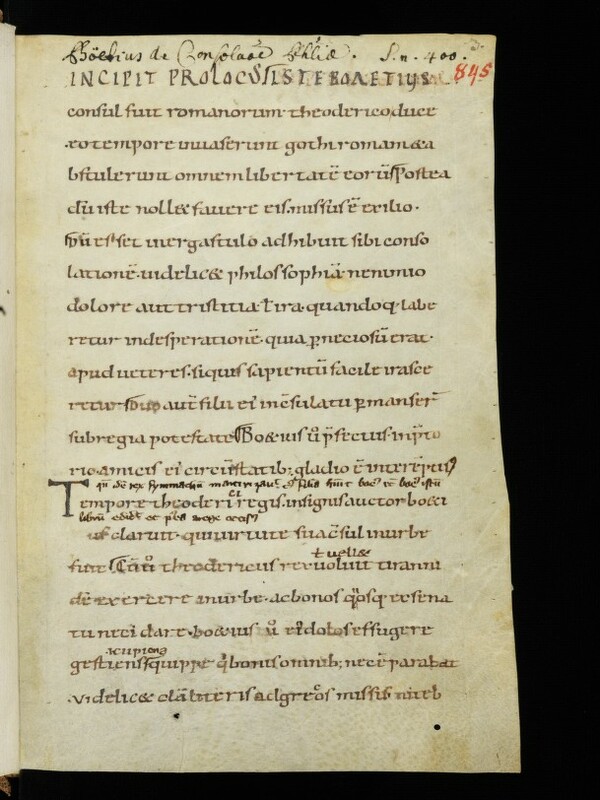 845: Kommentar zu Boethius, De consolatione philosophiae (I-IV) (http://www.e-codices.ch/de/list/one/csg/0845).